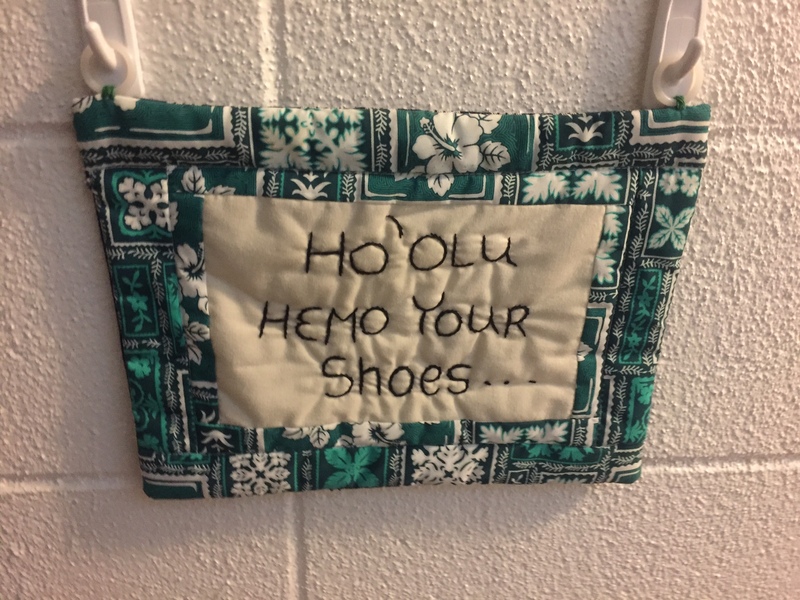 Every time I walk in my door, I see the Hawaiian quilted sign that reads: Ho Olu Hemo Your Shoes (translation: Please remove your shoes). It makes me smile every time I see it because it brings back the sweet memory of strolling though a local craft fair in Waikoloa on the Big Island, where I found it. Hawaii craft fairs are hardly just for locals, though. Instead, they’re the perfect venue for visitors hoping to bring home some locally-made souvenirs for left-behind loved-ones. And, if you book your Hawaii hotel through Hawaii Aloha Travel, you’ll enjoy deep discounts on your room. So, you’ll have more money to spend! Makiki Christian Church’s Festival of Thanksgiving: 9 a.m. to 1 p.m. Oct. 1, 829 Pensacola St., with food booths, homemade goods, plants, games and crafts for keiki, a white elephant sale and more. Call 594-6446. Daughters of Hawaii’s 40th annual A Day at Queen Emma Summer Palace: 9 a.m. to 3 p.m. Oct. 1, 2913 Pali Highway, with local artists and crafts featuring lauhala, lei haku, shells, books, island-style clothing and more. There will be local entertainment, food and cultural activities. Cost (includes admission into the palace): $5 for adults, $1 for ages 6 and older, free for under age 6. Free parking at Nuuanu Park; turn on Puiwa Road to park on grass. Creations of Hawaii: 9 a.m. to 4 p.m. Oct. 1 and 2, Queen Kapiolani Park (corner of Monsarrat and Kalakaua avenues). Features “Made in Hawaii” artisans, products and food items. Fundraiser for homeless awareness outreach programs. Call 735-4510. Windward Hoolaulea: Homegrown Celebration: 10 a.m. to 8 p.m. Oct. 1, Windward Community College, Great Lawn and Hale Akoakoa building, with 65 arts and crafts booths selling lauhala products, jewelry, photography, spices, island footwear and clothing, gift items from Hawaii and Tahiti, essential oils, doggie treats and more, and gently used items donated by the community. 808 Craft and Gift Fairs: 10 a.m. Oct. 2, Mapunapuna HouseMart Ben Franklin Crafts. Features unique, specialty and practical items. Wiki Wiki One Day Vintage Collectibles & Hawaiiana Show: 10:30 a.m. to 4:30 p.m. Oct. 2, Neal Blaisdell Center, Hawaii Suites; early entry at 9 a.m. ($15), with more than 90 tables of collectibles and antiques including Hawaiian and estate jewelry, art, fashion and accessories, dolls, beads, koa, furniture, kitchenware, comics, Niihau shell lei, sports cards, textiles, kimono, Hawaiian monarchy items, movie posters and more. Experts will be present to answer questions. Cost: $4.50. St. Michael School’s 2016 annual garage sale: 4 to 7 p.m. Oct. 6; 8 a.m. to 2 p.m. Oct. 7; and 7 a.m. to 3 p.m. Oct. 8 at the school, 67-340 Haona St., Waialua. Donation: $1 ($2 for early-bird entry Oct. 6), free for children under 14 years of age. Call 637-7772 or email stmichaelhi@hawaii.rr.com. When you visit craft fairs, be careful when purchasing food, animals, or plants, as you may not be able to bring them with you back home. Moiliili Hongwanji Buddhist Temple open house and bazaar: 9 a.m. to 1 p.m. Oct. 8, 902 University Ave. Features a mini craft fair, bake sale, plants, books, food, games and more, including a Safety Fair with keiki and kupuna ID cards, rummage sale and more. Call 949-1659 or email mhm@moiliilihongwanji.org. 13th annual Oh Baby! Family Expo, Toy & Game, and Party Expo: 10 a.m. to 5 p.m. Oct. 8 and 9, Neal Blaisdell Center. Check out the latest in baby and children’s gear, toys, games and one-stop party planning, with more than 30 craft vendors featuring handmade blankets, infant and children’s clothing, sleeping mats, stroller covers, bibs, diaper bags, booties, jewelry and more. Cost: $5.50, free for ages 5 and under. Call 239-7777. 808 Craft and Gift Fairs: 9 a.m. Oct. 15, Momilani Recreation Center. Features unique, specialty and practical items. 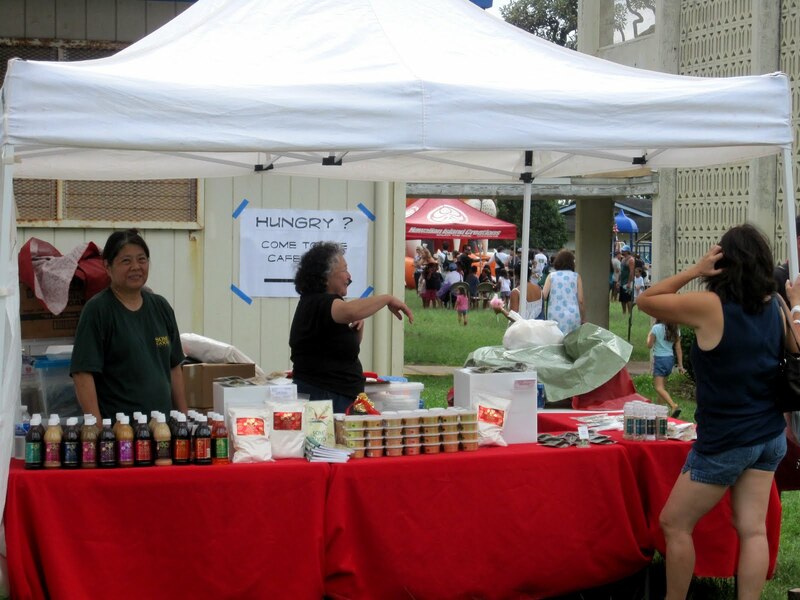 Makiki Community of Christ Food, Craft and Rummage Fair: 9 a.m. to 2 p.m. Oct. 15, 1666 Mott Smith Drive. Call 285-3678. Coin, Paper Money and Stamp Show: 9 a.m. to 3 p.m. Oct. 15, Paradise Park, 3737 Manoa Road. Presented by Hawaii Stamp and Coin Dealers Association. Call 531-6252. 808 Craft and Gift Fairs: 10 a.m. Oct. 16, Moanalua 99 (99 Ranch Market). Features unique, specialty and practical items. Moiliili Senior Center Rummage Sale: 9 a.m. to noon Oct. 17 to 21, Moiliili Community Center, 2535 South King St., parking garage. Find bargains on kitchenware, clothing, books, fabrics, knick-knacks and more. Call 955-1555. Honolulu U.S. Renal Center’s craft fair: 9 a.m. to 2 p.m. Oct. 18, Clarence T.C. Ching Building, 226 North Kuakini St., second-floor conference room. Proceeds benefit dialysis patients and support-group members. Parking available at the Queen Liliuokalani Park. Email william.english@usrenalcare.com. Calabash Cousins Trunk Show: 11 a.m. to 6 p.m. Oct. 21 to 23, Na Mea Hawaii, Ward Warehouse. Features Polynesian crafts and goods, including Paka’s Pearls from the Cook Islands. 12th annual Season’s Best Craft & Gift Fair Extravaganza: 5 to 9 p.m. Oct. 21; 10 a.m. to 7 p.m. Oct. 22; and 10 a.m. to 5 p.m. Oct. 23, Neal Blaisdell Center, Exhibition Hall, with over 270 vendors. Cost: $3. Call 683-6064. Kanoelani Elementary School Fall Craft Fair: 9 a.m. to 1 p.m. Oct. 22, 94-1091 Oli Loop, Waipio Gentry, with crafts, food and games. Call 675-0195. Haleiwa Jodo Mission YBA Craft Fair: 9 a.m. to 2 p.m. Oct. 22, 66-279A Haleiwa Road. Features stationery, books, jewelry, clothing, baby items, gifts, food and more. To pre-order bento and sushi, call 637-4382 or email haleiwajodomissionyba@gmail.com. Pohai Nani’s 16th annual Craft Fair & Bake Sale: 9 a.m. to 2 p.m. Oct. 22, Pohai Nani Retirement Community, 45-090 Namoku St., Kaneohe. Features unique items, jewelry, plants, gift baskets, clothing, bags, quilts, cards, baby blankets, pottery and more, with bake sale, silent auction, books and white elephant booth. Proceeds to benefit the senior residents of Pohai Nani. Free shuttle service throughout the neighborhood. Free. Call 236-7805. Trinkets & Treasures Sale: 9 a.m. to 2 p.m. Oct. 22, Waioli Tea Room (lanai area), 2950 Manoa Road, with new, vintage and gently used items, jewelry and more. Sponsored by The Salvation Army Women’s Auxiliary. Call 561-5776 or 864-6626. Trinity Christian School’s fourth annual Makahiki: 10 a.m. to 3 p.m. Oct. 22, 1110 Kailua Road, with vendors, games, a country store, live music and more. Email nkeegan@tcskailua.net. Waipio Shopping Center Pre-holiday Swap Meet & Craft Fair: 8 a.m. to 1 p.m. Oct. 29, Waipio Shopping Center (parking lot next to Big City Diner), 94-1044 Waipio Uka St., Waipahu. Offering a mix of household goods, clothing, jewelry, handmade gifts, slightly used items and more. Vendor applications available through Oct. 14. Call 722-6467. Pearl City Elementary School Craft Fair: 9 a.m. to 2 p.m. Oct. 29, 1090 Waimano Home Road. Proceeds to benefit the school and student activities. Call 307-5433. Creations of Hawaii’s Waikiki Halloween Festival: 9 a.m. to 4 p.m. Oct. 29, Jefferson Elementary School, 324 Kapahulu Ave., Waikiki. Features “Made in Hawaii” artisans, products and food items, games, entertainment and more. Fundraiser for education and cultural arts. Call 735-4510. Craft, Gift & Rubberstamp Expo, plus Crafters Clearance Sale: 9 a.m. to 3 p.m. Oct. 30, Neal Blaisdell Center, Hawaii Suites, with local vendors selling gift items, craft supplies and more. Email nanstar@hawaii.rr.com. Kuakini Health System’s annual Holiday Craft Fair and Bake Sale: 8:30 a.m. to 1 p.m. Nov. 4, Hale Pulama Mau Auditorium, with baked goods, handcrafted jewelry, clothing, stationery, household and kitchen items, holiday ornaments and more. Paid parking available or find street parking. Call 536-2236. Creations of Hawaii’s Autumn Fair: 10 a.m. to 7 p.m. Nov. 4 and 5, Pearlridge Center, Downtown, mall level. Features “Made in Hawaii” artisans, products and food items. Fundraiser for outreach programs involving education, cultural arts, cancer and homeless awareness. Call 735-4510. 808 Craft and Gift Fairs: 8:30 a.m. Nov. 5, Aliiolani Elementary School. Features unique, specialty and practical items. Manoa Valley Church’s 46th annual Harvest Fair: 9 a.m. to 1 p.m. Nov. 5, 2728 Huapala St., with food, plants, clothing, white elephant sale, Pokemon game and activities for keiki. Proceeds to benefit church’s building maintenance fund. Call 988-3271. First Presbyterian Church of Honolulu Bazaar: 9 a.m. to 2 p.m. Nov. 5, Koolau Grand Ballroom, 45-550 Kionaole Road, Kaneohe, with crafts, quilts, clothing boutique, collectibles, jewelry, food, jams and jellies, silent auction and more. Proceeds to benefit local and international outreach and missions. Call 532-1111. Harris United Methodist Church craft fair: 9 a.m. to 1 p.m. Nov. 5, 20 South Vineyard Blvd., with crafts made from mostly natural and local products, along with plants, fresh produce, gift items, baked goods, jams and more. Call 721-4523. Kaneohe Bay Shopping Center Pre-holiday Mini Craft Fair: 10 a.m. to 1 p.m. Nov. 5 at the Center, 46-047 Kamehameha Highway. Free. Aina Haina Elementary School PTA Holiday Bazaar and Keiki Swap Meet: 10 a.m. to 3 p.m. Nov. 5, school cafeteria and lawn, 801 West Hind Drive. Email ahsptacraftfair@gmail.com. 35th annual Temari Trash & Treasure Fair: 9 a.m. to 2 p.m. Nov. 6, Japanese Cultural Center of Hawaii, Manoa Grand Ballroom, fifth floor; early entry for Temari and JCCH members at 8 a.m.
Creations of Hawaii: 9:30 a.m. to 2:30 p.m. Nov. 6, 6095 Summer St., Kuliouou. Features “Made in Hawaii” artisans, products and food items. All proceeds benefit Gedatsu Church programs. Call 735-4510. 808 Craft and Gift Fairs: 10 a.m. Nov. 6, Mapunapuna HouseMart Ben Franklin Crafts. Features unique, specialty and practical items. Holiday Shoppe: 3 to 8 p.m. Nov. 10; 10 a.m. to 8 p.m. Nov. 11; and 9 a.m. to 2 p.m. Nov. 12, 5228 Apo Drive, Aina Haina. In-home holiday boutique features handcrafted decor, accessories, gifts, quilts, bags, wreaths, crayon and pencil caddies, jellies, sweets and more. Call 377-5005 or email holidayshoppehawaii@gmail.com. Starwood Waikiki Market and Craft Fair: 10 a.m. to 6 p.m. Nov. 11, Sheraton Waikiki Hotel, Molokai and Lanai ballrooms, with jewelry, holiday crafts and décor, baked goods, clothing and more. Free. Call 753-3261. Hahaione Elementary School Rummage Sale: 7 a.m. to noon Nov. 12 in the school cafeteria, 595 Pepeekeo St., Hawaii Kai. Sponsored by Hahaione PTSA. Call 397-5822, ext. 3, or email hahaionePTSA@gmail.com. Noelani School’s 27th annual Craft and Children’s Fair: 8 a.m. to 2 p.m. Nov. 12, 2655 Woodlawn Drive, Manoa, with homemade gift items, food, live entertainment and rides for the keiki. Sponsored by Noelani PTA. Interested vendors may email noelanicraftfair@gmail.com. This is a "take your shoes off" sign I bought many years ago at a craft fair on the Big Island. I love it still! 808 Craft and Gift Fairs: 8:30 a.m. Nov. 12, Aiea Elementary School. Features unique, specialty and practical items. Creations of Hawaii: 9 a.m. to 4 p.m. Nov. 12 and 13, Queen Kapiolani Park (corner of Monsarrat and Kalakaua avenues). Features “Made in Hawaii” artisans, products and food items. Fundraiser for homeless awareness outreach programs. Call 735-4510. Holiday Boutique: 9 a.m. to 7 p.m. Nov. 12 and 8 a.m. to 1 p.m. Nov. 13, St. John Vianney Parish, 920 Keolu Drive, Kailua, with handmade Christmas ornaments and crafts, wreaths, pillows, crochet items, kitchen crafts, baked goods, plants and more. Call 262-8317. Autumn kalua pig and mini bake sale: 10 a.m. to 3 p.m. Nov. 12, Liliuokalani Protestant Church, 66-090 Kamehameha Highway, Haleiwa. Fresh kalua pig sold by the pound and in plate lunches, nachos, quesadillas, homemade jams, jellies and preserves. For details and pre-sale orders, call 637-9364. Temple Emanu-el craft fair: 8:30 a.m. to 3 p.m. Nov. 13, 2550 Pali Highway, with holiday gifts, Judaica, food, crafts and more. Call 595-7521 or email hitemplesisterhood@gmail.com. Diamond Head Arts and Craft Fair: 9 a.m. to 2 p.m. Nov. 13, Kapiolani Community College, 4303 Diamond Head Road, with more than 200 vendors. Presented by Hawaii Recreation and Parks Society. Call 683-6590. Art School Holiday Sale: 10 a.m. to 6 p.m. Nov. 18 to 27 (ends at noon on closing day), Honolulu Museum of Art School, with an opening reception 5 to 8 p.m. Nov. 25. Features unique holiday gifts and creations by students and artists as a fundraiser to help maintain the school’s studios for metal works, ceramics, glass fusion and weaving. Call 532-8705. Creations of Hawaii: 10 a.m. to 7 p.m. Nov. 18 and 19, Pearlridge Center, Downtown, mall level. Features “Made in Hawaii” artisans, products and food items. Fundraiser for outreach programs involving education, cultural arts, cancer and homeless awareness. Call 735-4510. Aliamanu Elementary Holiday Craft and Fun Fair: 8:30 a.m. to 1:30 p.m. Nov. 19, 3265 Salt Lake Blvd. Features handcrafted items, horse rides, petting zoo, games, food, door prizes, entertainment and more. Vendors may call 421-4280. Mililani High School Athletic Booster Club Craft Fair: 9 a.m. to 2 p.m. Nov. 19, school gymnasium, courtyard and parking lot. Vendors may email glenn_nitta@notes.k12.hi.us. Aikahi Park Shopping Center Pre-Holiday Craft Fair: 10 a.m. to 1 p.m. Nov. 19, 25 Kaneohe Bay Drive, Kailua. Accepting vendor applications through Nov. 4. Pearl City High School Craft and Gift Fair: 9 a.m. to 2 p.m. Nov. 20, school cafeteria, 2100 Hookiekie St. Proceeds to benefit school’s Special Education Department. Call 307-5666. 808 Craft and Gift Fairs: 10 a.m. Nov. 2o, Moanalua 99 (99 Ranch Market). Features unique, specialty and practical items. Windward Potters annual holiday sale: 8 a.m. to 2:30 p.m. Nov. 26, Kailua Elementary School cafeteria, 315 Kuulei Road. Find unique holiday gifts including art pieces ranging from stoneware to raku. Call 383-9487. Hawaiian Mission Houses Historic Site and Archives annual Holiday Craft Fair:8:30 a.m. to 3 p.m. Nov. 26, 553 South King St., with about 50 vendors featuring handmade local crafts, food, Hawaiian crafting demonstrations and more. Call 447-3923. Kawaiahao Church’s annual Holiday Food & Craft Fair: 8:30 a.m. to 3 p.m. Nov. 26, 957 Punchbowl St. Call 469-3000. Hawaii United Okinawa Association Winter Craft Fair: 9 a.m. to 3 p.m. Nov. 26 and 9 a.m. to 2 p.m. Nov. 27, Hawaii Okinawa Center, 94-587 Ukee St., Waipio Gentry Business Park, with local crafters, food, andagi and a visit from Santa. Call 676-5400. Santa’s Helpers Boutique: 9 a.m. to 3 p.m. Nov. 26 and 11 a.m. to 3 p.m. Nov. 27, 871 Kainui Drive, Kailua. Features a variety of items made of fabric, clay, beads and wood, lauhala, prints, holiday decor and more. Call 599-4545. No matter when you visit the islands this Fall, you’re sure to find a Hawaii craft fair that fits the bill. So, grab your cash, your coffee, and your shopping list, and head-out to one of these amazing events!